Ten students and staff were killed in the shooting at Santa Fe High School. 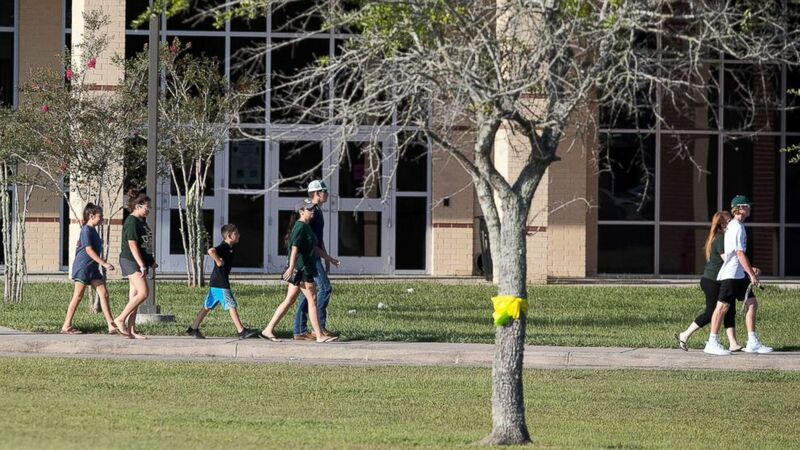 Students at a Texas high school where 10 died in a shooting this spring are starting their new school year with beefed-up security including metal detectors. 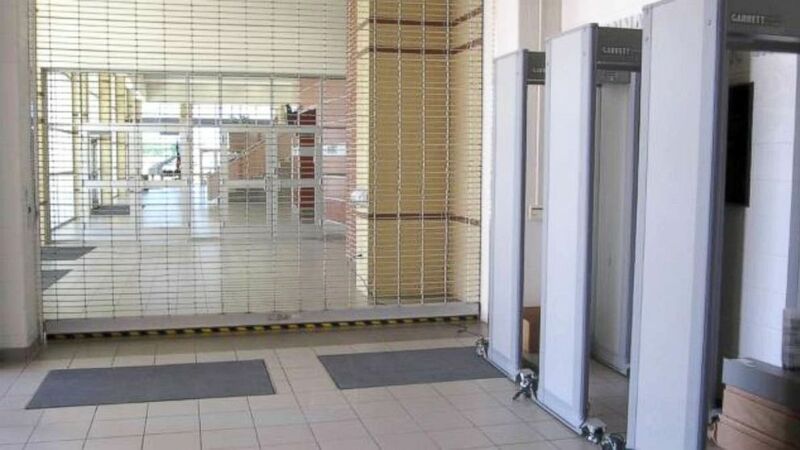 The new security measures come three months after a 17-year-old student allegedly burst into art rooms with a shotgun and a .38-caliber revolver on May 18, killing 10 students and staff. The alleged shooter was taken into custody and charged with murder. 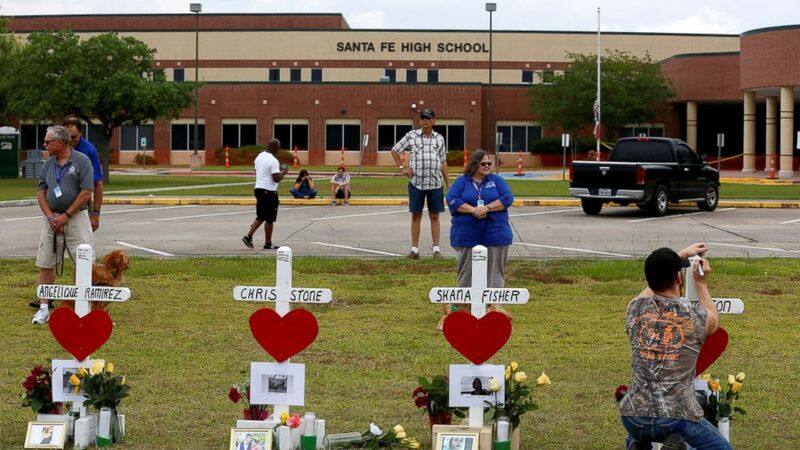 (Jonathan Bachman/Reuters) People gather at a makeshift memorial left in memory of the victims killed in a shooting at Santa Fe High School in Santa Fe, Texas, May 21, 2018. Students throughout the district will begin the new year on Monday with metal detectors installed in all schools, said Superintendent of Schools Leigh Wall. High school and junior high school students will enter through metal detectors throughout the school day, while elementary schools will use metal detectors for adults coming into the building, Wall said in a "welcome back" video posted to the district website. (Santa Fe Independent School District) Santa Fe High School students are starting their new year with security changes including metal detectors. 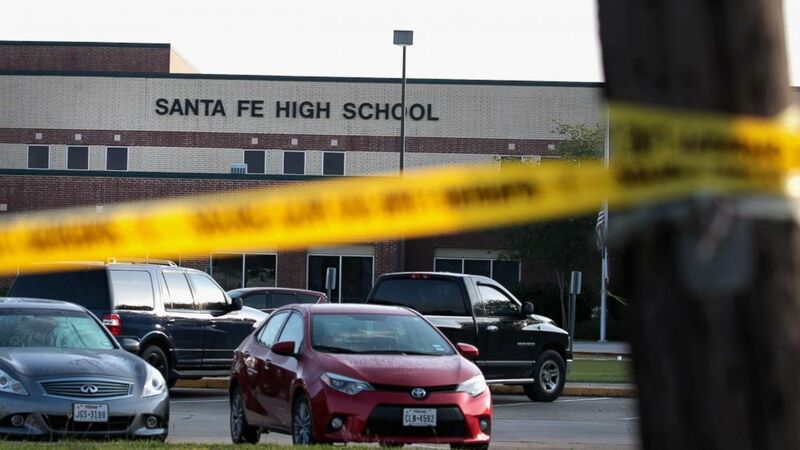 (Scott Olson/Getty Images) Crime scene tape is stretched across the front of Santa Fe High School on May 19, 2018 in Santa Fe, Texas. The high school underwent renovations this summer to create an additional vestibule at entrances for security plus four more offices for trauma counselors, Wall said. All schools in the district will also now have automatic electronic door locks, with all doors now locking from both the inside and outside. 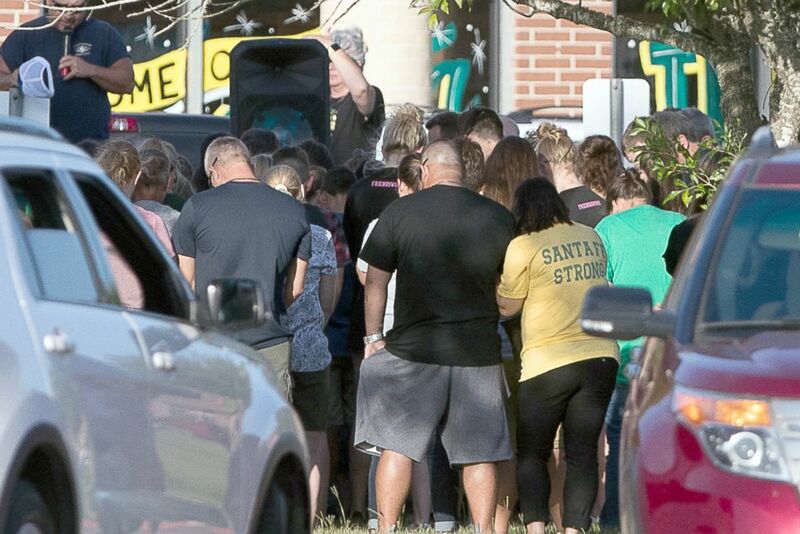 (Courtney Sacco/Caller-Times via USA Today Network) The community of Sante Fe gathers outside the Santa Fe High School for a vigil before the first day of school, Aug. 19, 2018, in Sante Fe Texas. 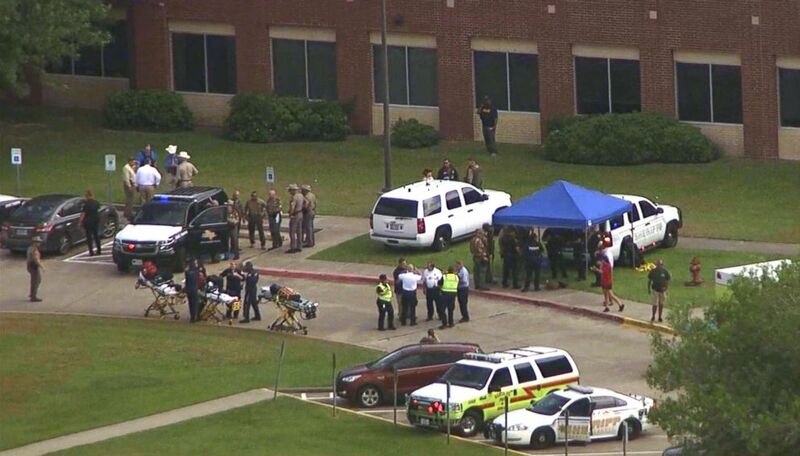 (KTRK) First responders work outside of Santa Fe High School in Santa Fe, Texas, May 18, 2018 after a shooting. Other security measures include the addition of five more police officers and 10 more security assistants, Wall said. The superintendent also said that the district will use tip lines and social media monitoring to increase security. "We hope to encourage open lines of communications where students and parents can report any items of concern that need investigating," she said. (Courtney Sacco/Caller-Times via USA Today Network) The Sante Fe community gathers outside the Santa Fe High School as the town comes for a vigil before the first day of school, Aug. 19, 2018. On May 18, 2018 a mass shooting that left 10 students and teachers dead.